Are we Secure in the Age of Connected Vehicles? 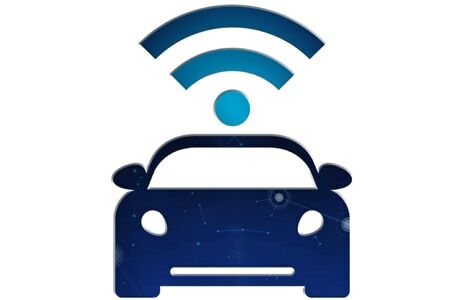 Connected vehicles are big business, with revenue streams predicted to grow to €40bn by 2018, according to a recent study by AlixPartners. In addition to newer embedded systems, the market for inexpensive plug-in devices that supply internet connectivity for older vehicles is rapidly growing. Some high-profile events, such as remote hack of a moving Jeep last year or the uncovering of vulnerabilities in BMW’s Connected Drive system indicate that how easily plug-in devices allow remote exploitation of vehicle security. Kaspersky Lab researchers have examined the security of applications for the remote control of cars from several famous car manufacturers. As a result, the company’s experts have discovered that all of the applications contain a number of security issues that can potentially allow criminals to cause significant damage for connected car owners. During the last few years, cars have started actively connecting to the Internet. Connectivity includes not only their infotainment systems but also critical vehicle systems, such as door locks and ignition, which are now accessible online. With the help of mobile applications, it is now possible to obtain the location coordinates of the vehicle as well as its route and to open doors, start the engine and control additional in-car devices. On the one hand, these are extremely useful functions. On the other hand, how do manufacturers secure these apps from the risk of cyberattacks? In order to find this out, Kaspersky Lab researchers have tested seven remote car control applications developed by major car manufacturers, and which, according to Google Play statistics, have been downloaded tens of thousands, and in some cases, up to five million times. The research discovered that each of the examined apps contained several security issues. Storage of logins and passwords in plain text. Using this weakness, a criminal can steal users’ data relatively easily. Upon successful exploitation, an attacker can gain control over the car, unlock the doors, turn off the security alarm and, theoretically, steal the vehicle. In each case, the attack vector would require some additional preparations, like luring owners of applications to install specially-crafted malicious apps that would then root the device and get access to the car application. However, as Kaspersky Lab experts have concluded from research into multiple other malicious applications which target online banking credentials and other important information, this is unlikely to be a problem for criminals experienced in social engineering techniques, should they decide to hunt for owners of connected cars. “The main conclusion of our research is that, in their current state, applications for connected cars are not ready to withstand malware attacks. Thinking about the security of the connected car, one should not only consider the security of the server-side infrastructure. We expect that car manufacturer will have to go down the same road that banks have already gone down with their applications. Initially, apps for online banking did not have all the security features listed in our research. Now, after multiple cases of attacks against banking apps, many banks have improved the security of their products. Luckily, we have not yet detected any cases of attacks against car applications, which means that car vendors still have time to do things right. How much time they have exactly is unknown. Modern Trojans are very flexible – one day they can act like normal adware, and the next day they can easily download a new configuration making it possible to target new apps. The attack surface is really vast here,” said Victor Chebyshev, Security expert at Kaspersky Lab. Install a proven security solution in order to protect your device from cyberattacks.